Spoilers follow both for Battlefront II’s “Resurrection” DLC and for The Last Jedi. You’ll probably remember that in the climax to The Force Awakens, the First Order has its sights set on the Resistance base located on D’Qar. If the Resistance pilots hadn’t launched an attack on Starkiller Base, the superweapon would have wiped everyone out. That’s why in The Last Jedi, the first thing the good guys have to do is evacuate, because the First Order is still coming. The evacuation of D’Qar plays out a lot like what happened on Hoth in The Empire Strikes Back: After the good guys destroy a major military asset, the bad guys mount a massive counter-offensive. 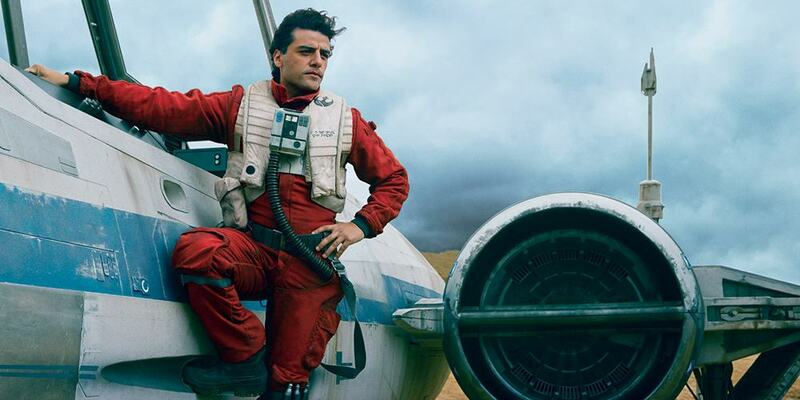 But back in the original trilogy, they didn’t have a pilot quite like Poe Dameron. Poe's probably the best pilot the galaxy has ever seen, and what he pulls off in 'The Last Jedi' is really impressive, even for his standards. Poe quickly says something akin to, “We can take out a dreadnaught.” The “dreadnaught” is a massive Star Destroyer much larger than the regular ones. Poe’s somehow able to deftly take out all of the huge laser cannons on the dreadnaught that would totally be able to demolish any ships escaping the planet, effectively ensuring that the large-scale evacuation can happen. But how is he able to effortlessly do so? Well, it probably has everything to do with what happens in Battlefront II’s “Resurrection” DLC. Think of the relationship between “Resurrection” and The Last Jedi as mirroring the one between Rogue One and A New Hope. Poe is able to disable the dreadnaught with such efficiency because during “Resurrection” former Imperial soldier turned Rebel fighter Iden Versio and her daughter infiltrate a First Order Star Destroyer and steal schematics for the dreadnaught. And guess what? They hide the plans in her droid. The plot setup is almost too Star Wars. Iden Versio’s daughter, Zay, shows up at D’Qar just as they’re starting the evacuation, which means that in a relatively short amount of time, Poe and other members of the Resistance were probably able to put that crucial information to good use. Zay was sent to find other Resistance allies in the Outer Rim territories — which explains why she wasn’t present during the movie — but we’re pretty sure her work with the Resistance is far from over. Star Wars: Battlefront II’s Resurrection DLC is out now, and so is The Last Jedi.